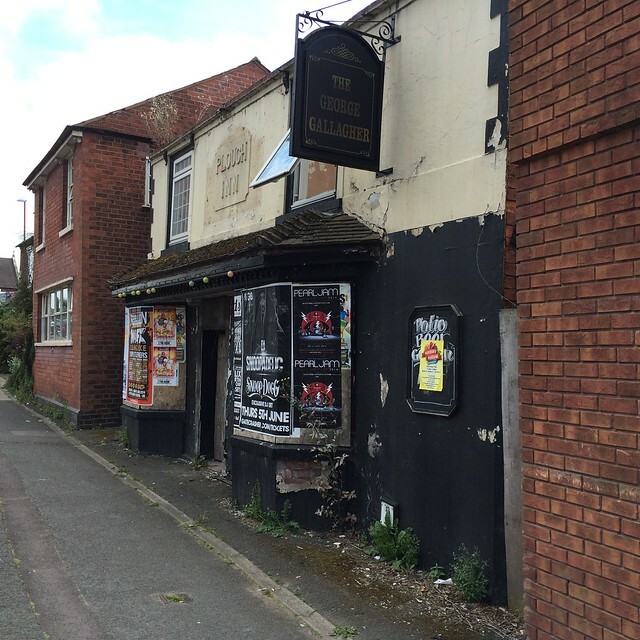 The owners of the locally listed Plough, Church Street, Brierley Hill have submitted a planning application to convert the nearly derelict building into four flats. The building’s owners, Danbury Associates Ltd, Co Fermanagh, Ireland, submitted the application on 23rd May and it was registered on 13th June. 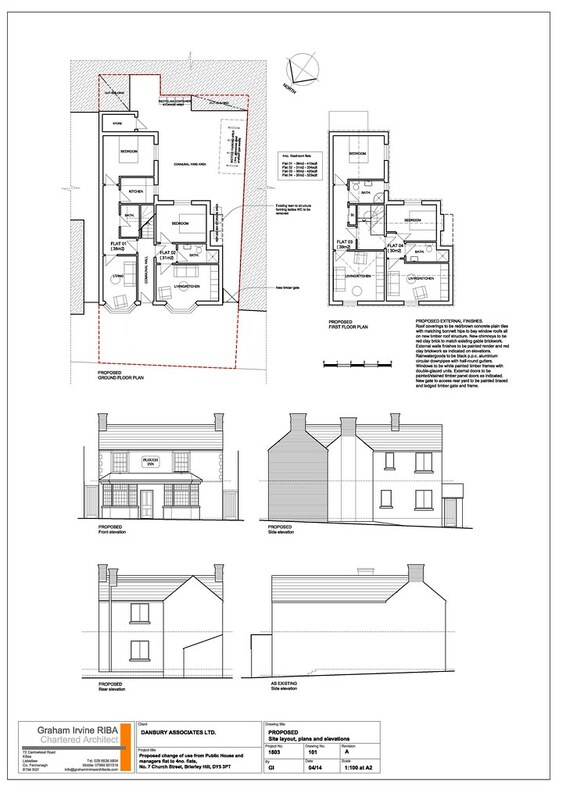 The Planning Application Reference is P14/0789 and you can view it by clicking the link. From a heritage point of view the plan would see the building renovated with its historic frontage remaining as it is now (see plan below). This would seem to be a positive step to find a new use for a historic building whilst preserving some of its features. What do you think? What future for the Moor Centre as another store pulls out? 2 Responses to Plan submitted to turn The Plough into flats. What do you think? It’s a better use of it than what it is now. If there are no other suggestions, then go for it! Flats sound like a good idea if renovating the historic frontage. This will make it more interesting & desirable.